Want to make your living room stand out and make a memorable impression? The trick is to have a solid accent piece. An accent piece can be an area rug, a dresser, a piece of wall art, or a chandelier, among other things. The point of an accent piece is to look good as well as be functional. The idea is to have an item that brings your personal touch of style into a room, so it doesn’t look like a template from a magazine. Here are seven items we think you might enjoy. Sea or sky? That’s the question your artistically minded guests will ask themselves upon looking at the Suvali wool rug as it adorns your living room floor. The rug’s navy-blue background and white accents could represent oceans and frothy waves, but they could equally evoke images of sky and clouds. The wool feels like you’re walking on clouds and almost always obscures unsightly dirt. We believe that the origin of our rugs matters, which is why we’ve sourced this rug from India. Rug-making has always been a revered craft in India and the Middle East: just look at some examples of Persian carpets. This rug is guaranteed to last you at least 20 years with proper care. Home is where you hang your hat. Or coat. 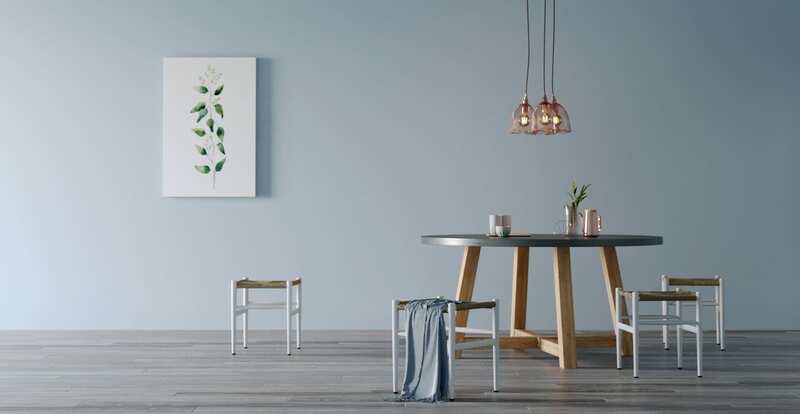 If you want to decorate your home in the Scandi style, the Peggy Clothes Rack will suit you well. Its slim profile means it fits anywhere in your living room. The rack is unobtrusive, just the way Scandi style dictates. The oak with natural ash finish gives any living room a simple, clean, natural ambiance. The openness of the Peggy Clothes Rack and the easel-like shape means you can set it just about anywhere in the room. Whether you want to put it in the corner or along a wall, it makes a simple, yet effective accent piece. We'd suggest positioning it along a blank wall to fill up space. The rack itself and the colours of your clothes can enliven a potentially dull space. Switch your lighting with style by installing the Virgo 3 Cluster Pendant Light. Its intricate copper net-like appearance works great in Industrial or Modern decor styles. The three-fold light fixture gives your living room plenty of illumination without sacrificing floor space. The total wattage for the bulbs is 120 watts; ample light for any situation. The dark brown colouring of the cables and the warm hues of the copper lend an inviting ambiance to your living room. The fixture will have to be hard wired into your ceiling. Unless you're an electrician, don't try to do this yourself! Create the illusion of a window into nature by hanging up this Mist Wall Print. Set under the right lighting, it can look like you’re viewing a serene summit of a mountaintop. The lush dark greens of the background trees complement the light blue of the background sky, and the black lines of the foreground trees form a subtly eye-catching foreground. If you’re really wanting to go meta with your accent pieces, you can position your real show-stopper to the left of the print, because the eye will naturally be drawn to it. Even without this effect, the art makes a striking display piece for your living room wall. Ancient and modern designs fuse into one with this Spacecraft Japanese Hemp Cushion. Its linen exterior is adorned with an indigo background and a white Japanese-inspired geometric design. The authentic Australian down filling makes the cushion feel like you're sinking your head into the softest pillow imaginable. 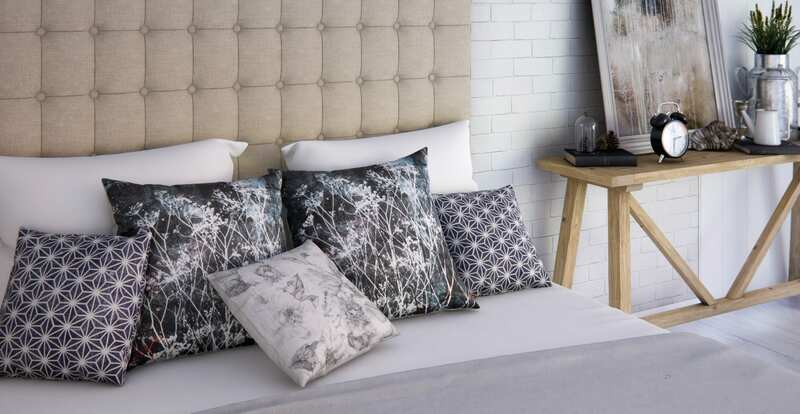 The pattern on the pillow is an abstract design that could look like either snowflakes or the petals of a flower. Abstract designs feature prominently in modern decor and work well with just about anything in your living room. You'll want this to be the centrepiece or one of the companion cushions on your sofa. It could also go on an ottoman. Who says geometry couldn’t be fun? This Pentagon Coffee Table shows that furniture can be a unique shape and still look classy. The pentagon shape not only looks unique, but it gives the illusion of there being more space available. It also fits with a variety of styles. You’ll love the sumptuous walnut finish, with the alternate option of white marble. The coffee table isn’t excessively large, but it’s enough for an intimate drink or two. You’ll want to place this coffee table in the centre of the room between a couple of chairs. No matter where you live, this Gondola Wall Art will have you longing for Venezia and humming “O Solo Mio”. 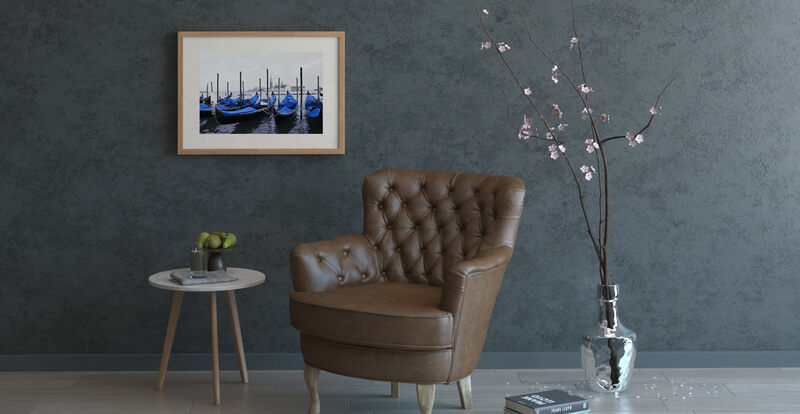 The background shows a lovely scenery of the Grand Canal of Venice, and the bright blue gondolas bring a lively colour accent to almost any room. The print is made from environmentally friendly material and is of the highest quality paper. 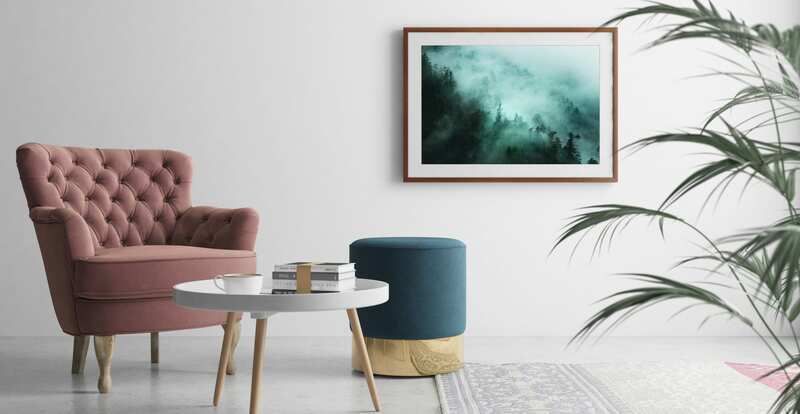 Although your tastes might run differently from ours, we think you’ll enjoy these accent pieces for your living room, or at least find something similar that works better. An accent piece should turn heads and spark conversation, so no matter what you have, make it the focal point of the living room. But of course, we have plenty more where this came from. Browse our homewares collection online today for more inspiration!